3D printed eyes: how has the research evolved? One of the industries that benefits the most from Additive Manufacturing technologies is for sure the medical sector. 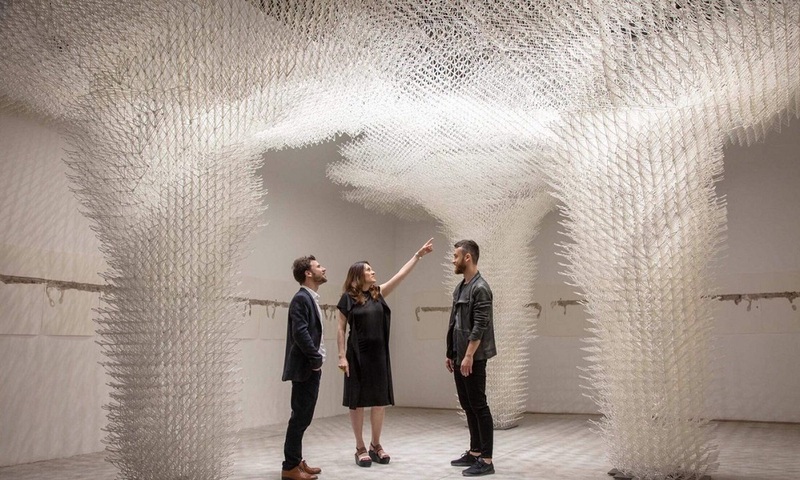 3D printing can lead to breaking news and discoveries with a combination of new materials, lab assistance such as 3D scanners, and abilities of 3D printers to produce structures impossible to achieve before. What new innovative projects do researchers have in store for us thanks to 3D technologies? Before we move on to the use of 3D printing for eyes, let’s have a look at what amazing 3D printed projects have been achieved and what are the advantages Additive Manufacturing gives for the actual production of human body parts. One of the biggest achievements is a 3D printed human heart. The prototype is very promising and can already fully function for 30 minutes, which hopefully will lead to a long-term solution in the future and might replace the need of human donors. Additive Manufacturing has also shaken the medical world with lots of uses of 3D technologies for surgeries such as jaw reconstruction and dental implants, 3D printed skin and even cancer treatment! We also can’t forget about the revolutionary 3D printed bone. The obvious benefit of using 3D printing in the medical sector is a short lead time with high-quality results. When doctors rush a patient with severe injuries to the OR, time is crucial. Additive Manufacturing can possibly prove the doctors with new, fully functional organs very quickly. Another, very important thing to point out here is mass production. The medical industry could potentially always be supplied with new hearts or kidneys. It’s also essential to mention that a lot of current risks of transplant would be avoided thanks to 3D printing biomaterials, which mostly consist in natural ingredients, eliminating the possibility of the transplant being rejected by the body. Additive Manufacturing also means high personalization, which is so important with the human body. This advantage of the 3D technologies is especially important when it comes to 3D printed eyes, as in many cases, 3D printing is used for eye prosthesis and the visual aspect is the main goal to achieve. For that condition to be fulfilled, 3D modeling and 3D printing are giving the researchers a lot of design freedom. The best projects of 3D printed eyes: how is it done? In this chapter, we will go over the most interesting cases of using Additive Manufacturing for eyes. We will talk about a take on the 3D printed cornea for people who suffered from eye conditions, diseases or damaged their eyes in other way and are partially or totally blind. Then we will move on to 3D printed eye element called cornea. Next project is dedicated to children born with one or no eyes and how 3D printed Eye Comforter is helping them to develop and grow properly. Last, but not least, we will talk about 3D printed bionic eyes for blind people and a futuristic vision of Italian researchers on improving our vision. The transplant market is always lacking organs and researchers are constantly looking for new ways to find a solution to that. One of the transplant organs that are very much needed, is a cornea, the first layer of our eyes that the light goes through. It also has a protective feature. There are millions of people whose cornea was damaged, which leads to partial or even total blindness. They require eye surgery after suffering from burns, lacerations, abrasion or disease and 3D bioprinting is coming with a rescue. Researchers from Newcastle University took on that challenge and started developing a 3D printed artificial cornea. The beginning wasn’t easy, finding the right materials to work with was a tough task, as well as the shape of the cornea. But of course, they were not going to give up that easily. To solve the problematic shape of the human cornea, the team studied a volunteer’s eyeball with a special camera and based on the gathered data, designed a 3D model of the cornea. They developed a curved surface and 3D printed the lens like film onto it. The advanced materials had to be stiff and able to hold its shape, but at the same time- very thin. As Che Connon, a tissue engineer from the team explains, ‘’It was tricky to find the right recipe for an ink that’s thin enough to squirt through a 3D printer’s nozzle’’. The researchers finally made a significant step and found the perfect mixture for the bio-ink. It still involved the use of a healthy human cornea, but instead of the cornea being donated to 1 patient, it can be used to 3D print 50 artificial corneas for transplant! The lens is produced with a mix of the stem cells from a healthy cornea, collagen, which naturally exists in our body and jelly-like goo called alginate. This mixture becomes a bio-ink which is then applied by the 3D printer in concentric circles into a shape of a cornea. What is also amazing about this project is the fact that Additive Manufacturing technology already allows to 3D print human cornea look-alike match that mostly consists of the same ingredients, which allows avoiding different complications. Thanks to 3D printing we soon might be able to immediately help people after accidents or those who have been waiting for this revolution for years. Unfortunately, some children are born with undeveloped eyes, this condition is called microphthalmia, or with one or both eyes missing, called anophthalmia. Without the eye, their sockets don’t get any support when growing and can’t develop properly, which causes face deformation. In fact, the skull can even cave inward. As children grow fast, time is the key factor here. And that’s exactly why Additive Manufacturing, as it’s fast and efficient, is the answer to this problem. Maayke Kuijten, a postdoctoral fellow at the VU University Medical Center in Amsterdam, decided to use innovative 3D technologies to help those children. She worked on natural eye development and with her team designed customized Eye Comforters. The Eye Comforters aren’t artificial eyes and don’t look like human eyes- their main purpose is not to visually imitate the eye, but to allow for the children’s skulls to develop properly. Also, as mentioned above, time is crucial and that Eye Comforter has to be placed in the socket as soon as possible. They are not painful, noninvasive and easy enough for the parents to place by themselves after professional training. The Eye Comforters are used by 5 children and the study is still ongoing, but the results are promising. The researchers made the most of Additive Manufacturing as it provides them with fully functional end-use products very quickly. How did a student 3D print an eye prosthesis? Frankly, the current market of eye prosthesis gives a pretty small amount of choices, and at a very high cost. It offers acrylic eyes, which are hard to customize, can cause allergic reaction and even break. Plexiglas eye prosthesis are more durable, but don’t look very realistic. So when a visually impaired engineering student at the Technical University in Brno (VUT), Ondřej Vocílka, heard about 3D printing, he immediately got inspired. The game-changing aspect of the use of 3D bioprinting in designing the eye prosthesis is how much freedom Additive Manufacturing gives. 3D technologies allow for the production of very detailed projects, perfectly fitted and custom made for the patient. And the looks of the eye are the hardest part to achieve with traditional manufacturing methods. Not only 3D printing allows for ideal imitation of the human eye, but it also delivers the results much faster and at a much lower price. The cost of an artificial eye can go up as high as over 4000$, where the student’s 3D printed prototype was produced at an amazing 40$ cost. The project was much appreciated and seeing the potential of it, Bosh awarded the student. “When are you going to print me a bionic eye?” asked one day a visually impaired mother of Michael McAlphine, an associate professor of Mechanical Engineering at the University of Minnesota. This simple question led to a huge research, hours of work and development of the prototype and the revolutionizing breakthrough. For the first time in history, researchers have successfully 3D printed light receptors onto a circular surface, which resulted in the first-ever 3D printed prototype of a bionic eye. It was a significant step in the medical industry. The challenge of this project was to apply the material on a non-flat surface. It is hard to do, as there is a high risk of the liquid material to fall down, basic laws of physics after all. To add to that issue, the light receptors are delicate and hard to work with. There was also the question of what materials to use. They found their answers with 3D printing. 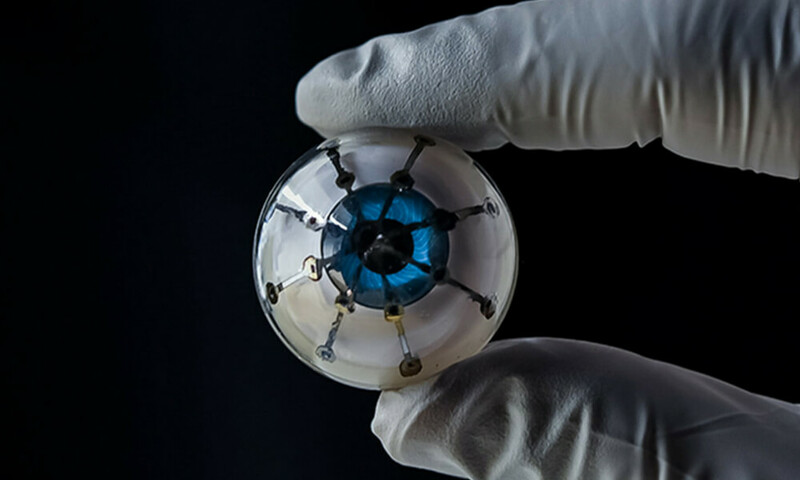 After lots of tests, the researchers not only achieved the 3D printed light sensors but also moved the medical industry a milestone further in bionic eye development. They used a glass cone to 3D print array of photodetectors. As conductive interconnections silver nanoparticles were used, together with a couple of layers of semiconductive components, they turned light into electricity. The last step was using liquid metal to 3D print cathodes on top. This pioneering solution wouldn’t be achievable without innovative 3D technologies. In this case, EYE stands for Enhance Your Eye- MHOX’s research project from Italy. The concept is to have 3 types of the EYE: EYE Heal for people suffering from different diseases and conditions, EYE Enhance for visually impaired with some vision problems, and EYE Advance aimed for people who would like to exchange their vision for an advanced option- better seeing, but also the ability to download images taken with the EYE through WiFi. Eventually, with the futuristic project, people would be able to choose from 3D printed eyeballs to cure a condition, eyeballs to correct their vision, and also an eyeball to take images and record what they are seeing. 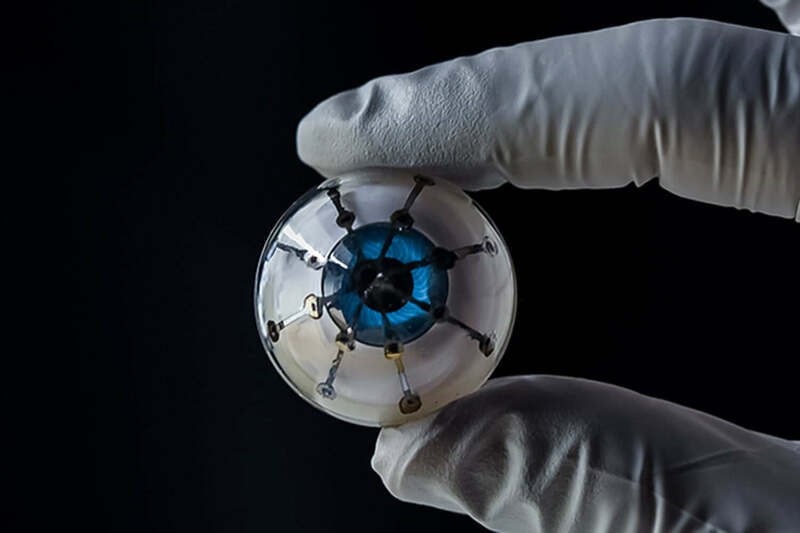 The concept is for the eyeballs to be 3D printed with bio-ink that encompasses the needed cells to replace the ones in the natural set of eyes. The EYE would be connected to a ‘’deck’’ inside of patient’s head, which would also allow for upgrades of the eyeballs. Filippo Nassetti, the lead designer, explains that “Latest developments in bioprinting and biohacking let us imagine that in the near future it would be possible to easily print organic, functional body parts, allowing the human to replace defected districts or enhance standard performance”. The team projects that ‘’the near future’’ for MHOX’s project is January 2027. What is the future of 3D printing in the medical industry? For sure the future of Additive Manufacturing technologies in the medical sector is bright. 3D printing methods are still evolving and there is a great potential for discovering new materials. The new industrial revolution can help us not only to heal us but even save our lives and take the human body to another level. Projects such as the Eye Comforters are already being applied to use and to gather more data to help more children. Then, hopefully, when those children grow up, and for other blind people, there will new technology waiting to give them full vision such as a Bionic eye or WiFi connected EYE. And all of that has never been achievable before 3D technologies. They allow for great customization, very detailed designs, and most importantly in some cases: very fast and high-quality products, or possibly functional body parts. Maybe it’s time for you to start working with us on your medical project? Contact us right now! And stay informed about the best 3D printing news with our Newsletter and Facebook! Wie fördere ich meine 3D-Druckausbildung? Teil 4 - Verbessern Sie Ihre 3D-Druckfertigkeiten auf eigene Faust! 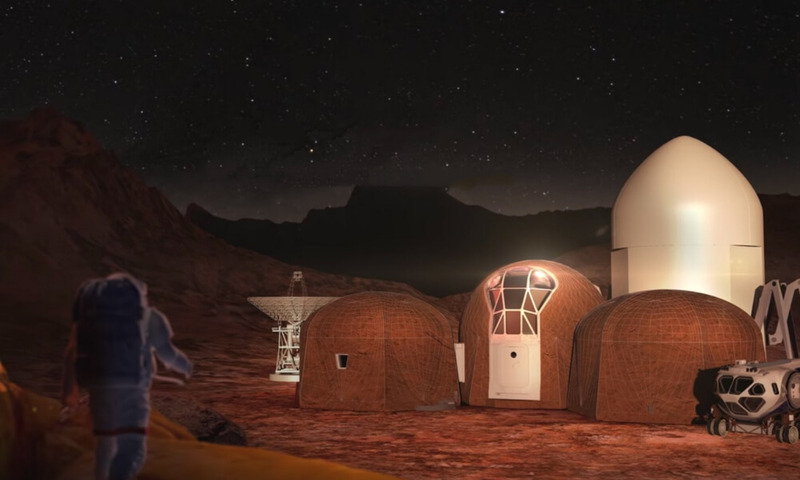 What are the latest developments in 3D printing in space? 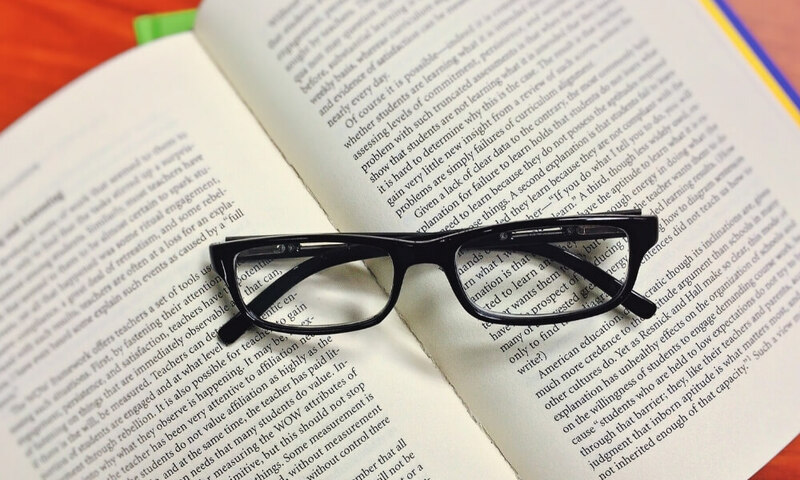 How to treat dyslexia using 3D printing?